Our vision is to be the leader in Private and Concierge Medicine, not to be the biggest! But to be the Best! We noticed a lack of empathy, compassion, and attention to patients today in the medical and health care field. We are making it our responsibility to bring these important values back into today’s private health care market; while, conveying these values to our clients each and every day through each experience. Along with our Exclusive Physicians, we look forward to improving the health and well-being of each and every client we serve. Our priority is to inspire hope and influence confidence, and to contribute to the health and well-being of each and every one of our clients; by providing the best-care through integrated clinical practice, education, and research. To become the leader, we must first change the way health care is delivered. 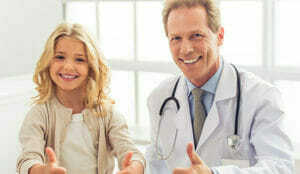 We will provide security and ease to each client, who values their health and their physician. Our Exclusive Physicians will work feverishly to facilitate the early detection of illness, with the goals of increasing life expectancy, the quality of life, and general overall patient satisfaction. Our quest is to differentiate ourselves from our competitors, by providing a distinct health care experience with: excellence, individualized compassionate care, and by empowering our clients to achieve their very best health possible. Allowing them to so feel their best, live longer, and achieve success in a quality-filled life. We are on a mission to help make your life healthier and stronger; while, motivating others in the medical and health care field to do the same. EPATHY, EXCELLENT SERVICE, COUPLED WITH COMPASSION!